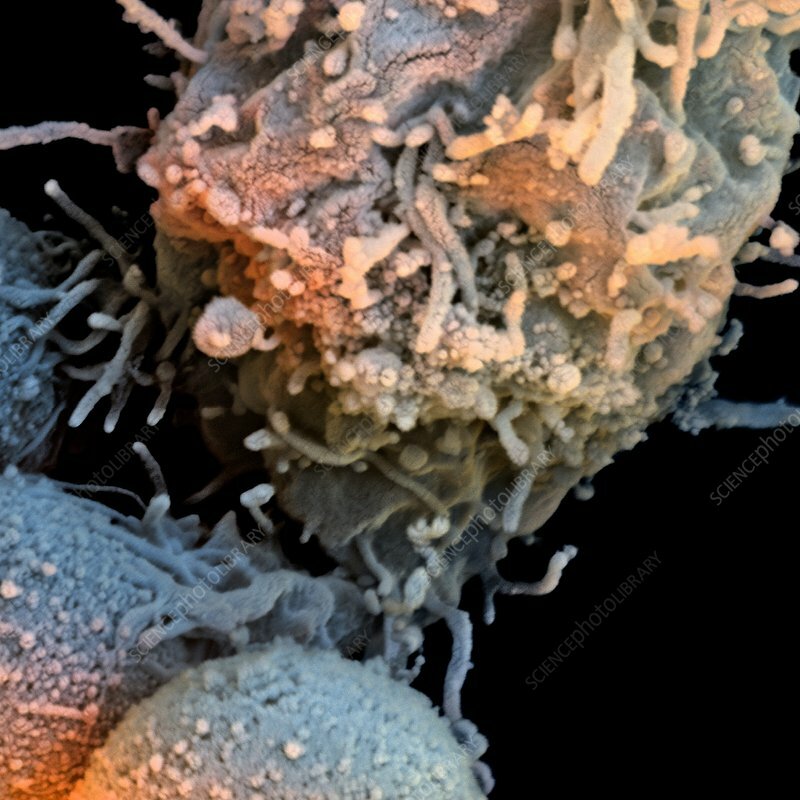 T-lymphocyte and iron particles, coloured scanning electron micrograph (SEM). The T-lymphocyte (or T-cell) is at top. It is a type of white blood cell that is an important part of the body's immune system. It tracks down and destroys foreign bodies and infected cells. It also helps to mediate the production of antibodies against invading organisms, such as bacteria and viruses. T-lymphocytes originate in the bone marrow, but mature in the thymus gland. The round objects at left left are iron particles (5 micrometres across) used to separate the T-cells from other blood cells. Magnification: x10,684 when printed at 10 centimetres across.